Click HERE to see the flyer in pdf format with clickable links. 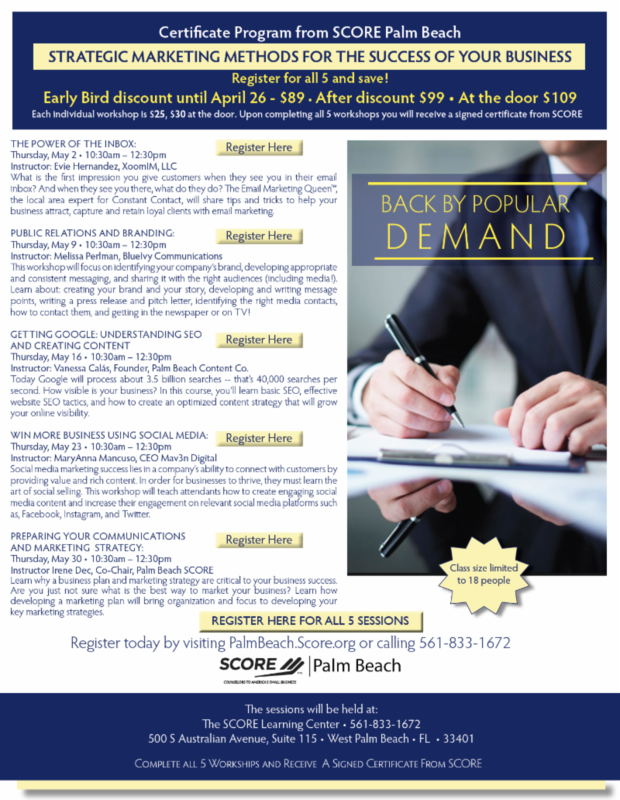 You can also visit our website at https://palmbeach.score.org/workshop for any workshop information. Previous Post Claim your dates for the 2019-2020 season!